As the classic Monty Python line goes: “What have the Romans ever done for us?” Now, the film might mention the sanitation, roads, medication and wine, but it forgets to include another useful invention: Roman blinds. So, let’s take a brief look at what ‘Life Of Brian’ missed out and consider the origins and benefits of the humble Roman blind. 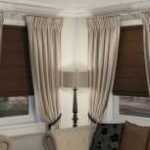 Roman blinds are a particular style of window covering. A Roman blind consists of a sheet of material which is raised and lowered in sections – these fold back neatly, allowing you to cover the window incrementally. The horizontal sections can be of different widths with smaller sections giving an orderly and prim look, and larger folded sections a more relaxed feel. 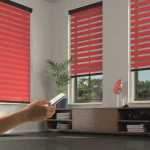 The blinds are generally operated using a cord or wand mechanism. Romans are available in an exceptional range of fabrics, from luxe velvet to light and airy linen, making them suited to any room of the home and any interior style. 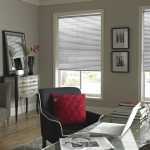 As the name suggests, Roman blinds originated from Rome in the civilization’s heyday over 2,000 years ago. As a pragmatic and industrious people, the Roman blind was originally designed by the Romans as a practical solution to a problem. Although they had created long, straight, easy to travel roads, the baking Italian sunshine meant that there was a lot of dry dust around on the Roman roads. When travellers used the road, their horses, carriages, or even just walking would kick up dust which would find its way into nearby dwellings. 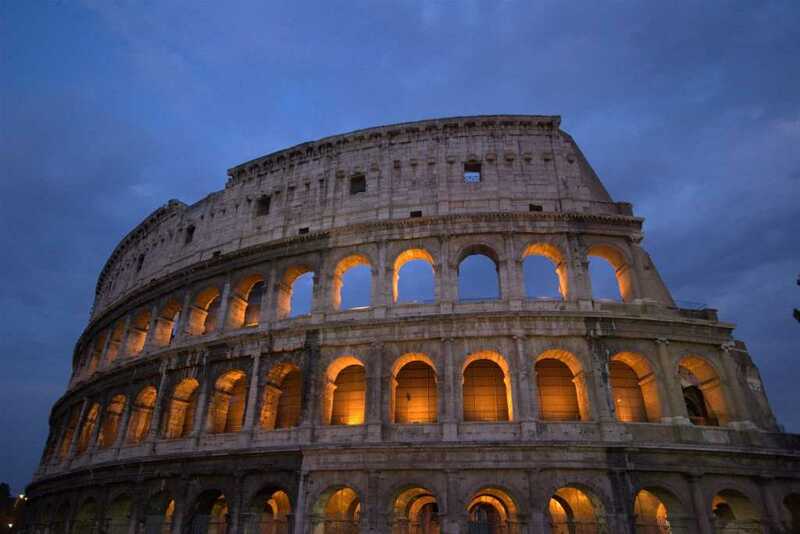 During the Roman times, it would be rare to find glass windows – instead, they were merely holes in the walls. To stop the influx of irritating dust into homes, people began hanging dampened cloth over their windows to keep out dust, whilst also offering privacy and protection from the sun. 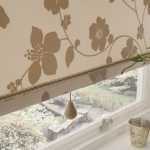 This simple yet effective idea is the origin of Roman blinds. As time went on, the Romans made their blinds more decorative, different fabrics were used and a drawstring operation was introduced to facilitate easy opening and closing. Flash forward to modern day and the concept of Roman blinds has changed remarkably little. Although the operating mechanism may be a bit more advanced and we can now enjoy a fantastic array of high quality materials, the similarity to the original is still clear. Denton Blinds provide customers in and around Kettering and Burton-on-Trent with a wonderful variety of blinds, including classic Roman blinds. We are blinds specialists and can offer expert advice, high quality made-to-measure blinds and skilled installations and repairs. To talk to one of our knowledgeable team, simply get in touch today.